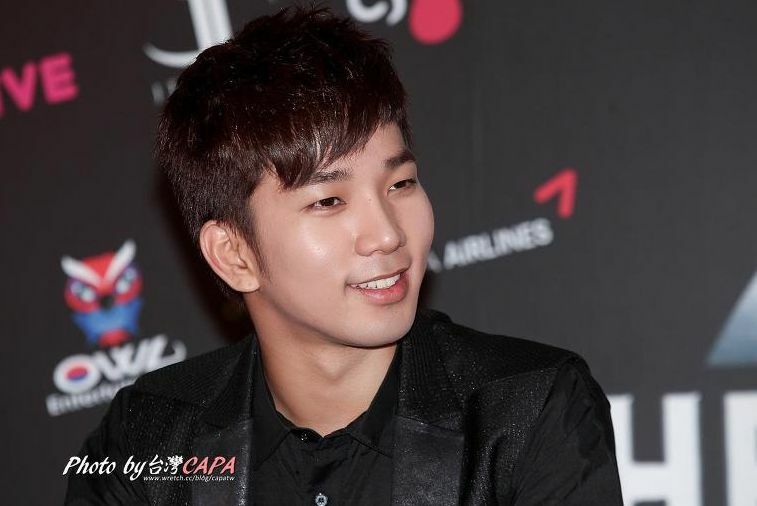 Most of the time I have no trouble describing the special kind of handsome that G.O possesses. I call it special because it is layers deep and not wrapped up in only what is visible to the eye. I have talked about how his beauty is the complete manifestation of the kind, gentle, gracious, playful, intelligent and talented man he has showcased to us all countless times. And the camera, on any given day, at any given time, captures this beauty. In fact, every single post I have written about G.O is perhaps a testament of how beautiful he is, at least how beautiful he is to me. He is gorgeous, this is true. But during the Blaq% Tour press conference in Taipei back in August 2012, G.O was a tantalizing tour de force of style, sophistication and yes, handsome. All of 2012 was a blistering attack on the senses from MBLAQ. If I could turn back the hands of time, I would definitely want to return to 2012 as a devoted G.O fan because he was involved in so many activities starting in January with MBLAQ and the Blaq% promotions, through the end of the year (well, November) with his starring role on the Korean musical stage in Gwanghwamun Sonata. There was also an onslaught of variety from Hello Baby to Idol Manager, a regular spot on the singing competition show, Immortal Song 2, an extensive Asia concert tour AND even a supporting role in the drama 유령 [Ghost]. Come to think of it, it might have been too much. <hehe> One thing is for certain, camera bulbs were flashing regularly leaving us with a robust collection of pictures in the wake of all this activity. I dare say, it was heaven. Today, I will linger a bit on the Blaq% press conference in Taipei because the visuals are nothing short of perfect. Yes, G.O is stunning in black. And again for the millionth time, let me point out how clothes wear this man exceptionally well. The black iridescent vest over the black button down shirt and black jeans shimmer under the lights. And his dewy completion looks flawless under his gently swept bangs. The man is stunning my friends . . . absolutely stunning. Categories: G.O Military Discharge, MBLAQ Musings, The G.O Files | Tags: Blaq% Tour Press Conference, G.O, G.O images, 정병희, 지오, Jung Byung Hee, Jung Byung Hee images, MBLAQ Blaq% Asia Tour, MBLAQ Blaq% Promotions, MBLAQ Blaq% Tour, MBLAQ G.O, MBLAQ G.O images, MBLAQ G.O in Taipei, MBLAQ G.O in Taiwan, MBLAQ in Taipei, MBLAQ in Taiwan | Permalink.